UL, Durham, Edinburgh & Newcastle will race this weekend, in our annual fixture on the Tyne, with UL attempting to defend last year’s Men’s & Women’s Eights titles. 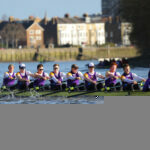 Rutherford Head sees four of the UK’s leading university rowing programmes test themselves against each other, at this early point in the season. 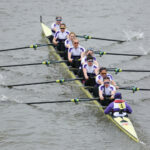 Last season UL won both the Men’s and Women’s Eights by strong margins, and took victory in both Men’s and Women’s Coxless Fours and Coxed Fours, with the challenge on to repeat this. 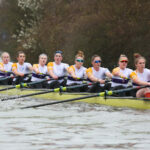 Three UL men’s eights and two UL women’s eights will travel north, racing on the course also used for BUCS Head in 2016, ’17 & ’18, where the UL Women were winners of Championship Eights every year and the Men took Championship Eights victory in 2018. The UL Men’s Fresher Eight, along with the large number of post-graduate joiners, get to race in Purple again, after success at Gloucester Head last month. Racing begins at 10:30AM & 13:45AM.